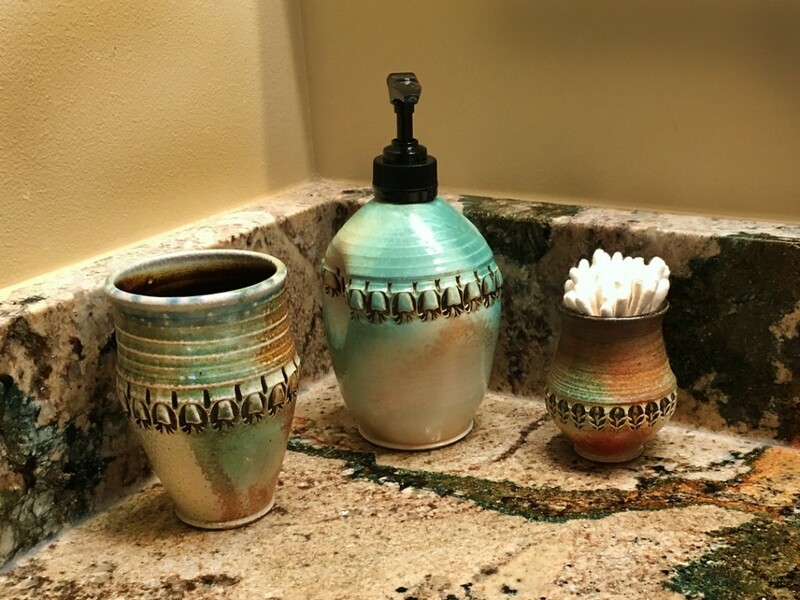 Love seeing my pottery in use… even if it is the bathroom! 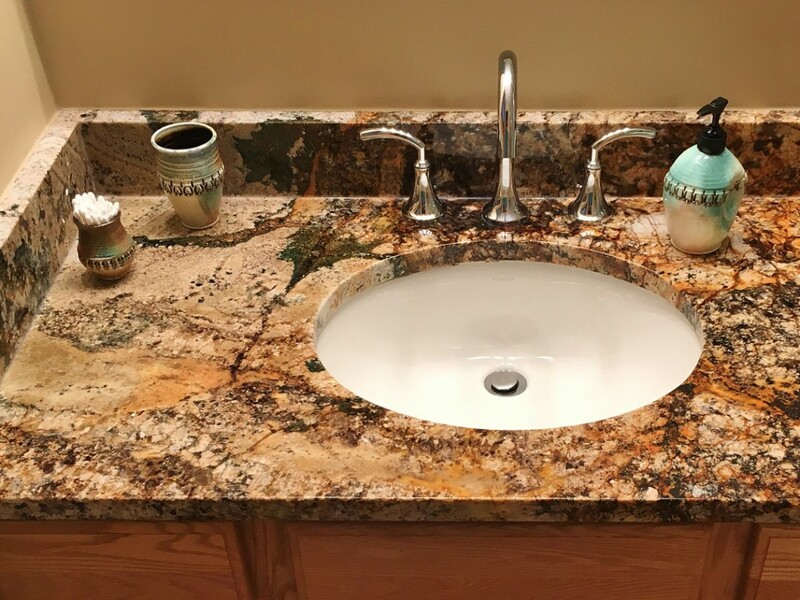 Everyone has one, so why not make it look nice?! 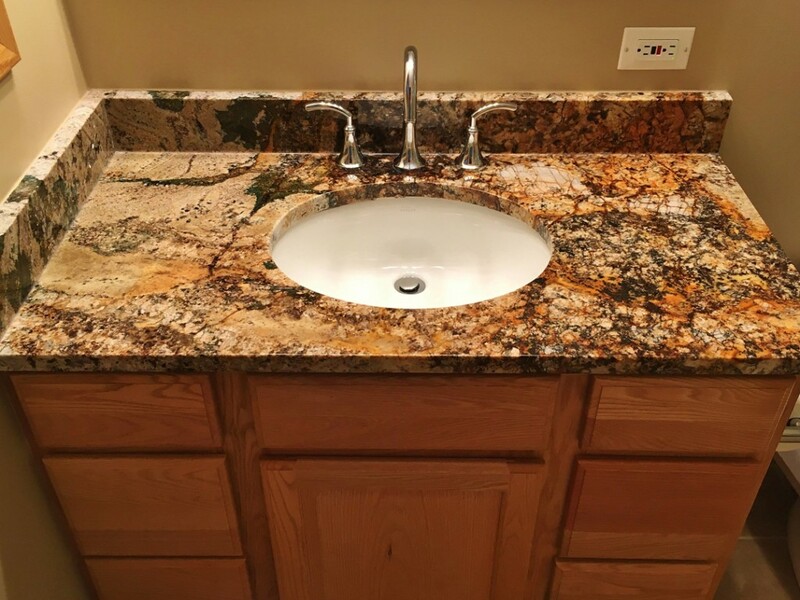 A beautiful slab of granite needs some nice pottery to accent the sink! Thanks Nancy for sharing!